A thoughtful, timeless, keepsake gift for a mom, grandmother, best friend, daughter, sister, lover, wife, or girlfriend. This is an ideal gift for an anniversary, Christmas, birthday, graduation, or just because. The circle disk necklace is a timeless classic that is made more unique by personalizing with a loved one's actual handwriting. 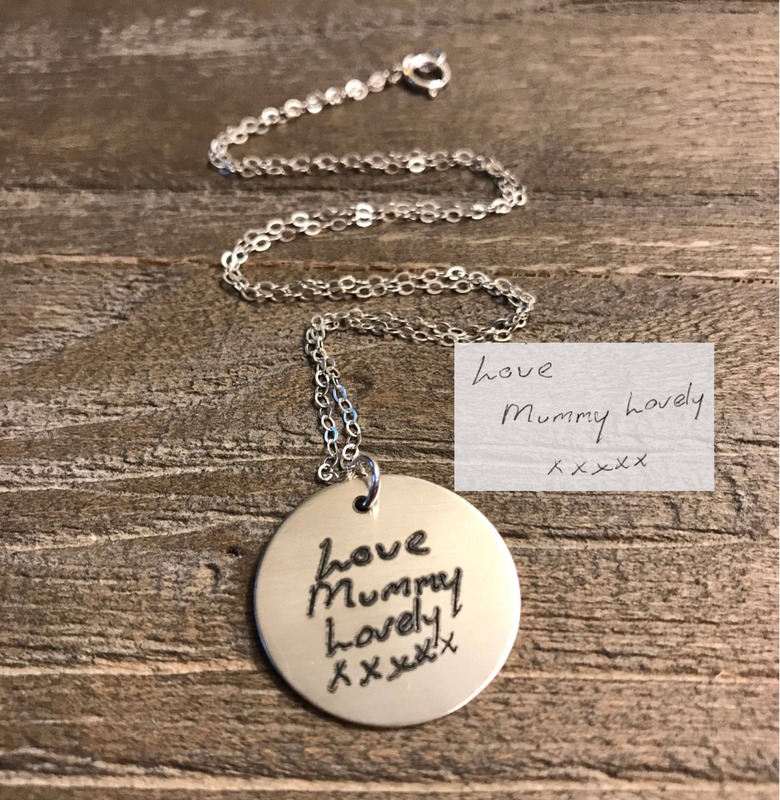 The necklace features a sterling disc that is engraved with a name or handwriting on a flat delicate cable chain and spring ring clasp. Once the order is placed, please send me your handwriting sample thru ETSY conversation or my email along with your order number. I will begin work on your custom piece of jewelry and may not be able to alter if I have already started.